Huawei recently released the P20 series. More specifically, the lineup was unveiled during an event in Paris on March 27 by Huawei. 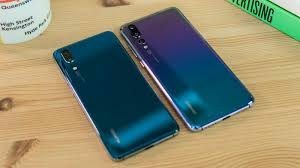 The ranges consisted of three phones: Huawei P20, P20 Lite, and P20 Pro. The P20 Lite is comparatively cheaper, while the P20 and P20 pro are flagships. P20 is a little more affordable than the P20 Pro but it has many of its features. 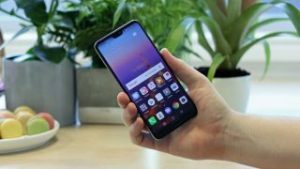 The Huawei P20 also has some of the features earlier seen on the Mate 10 Pro, the high-end smartphone that was released last year. This makes the Huawei P20 an interesting phone. Although the P20 Pro has hogged all the limelight, it doesn’t mean that the P20 isn’t worthy of attention. 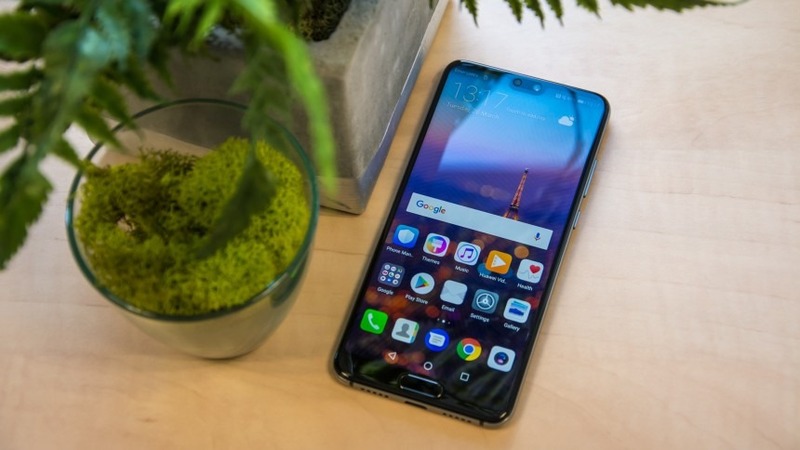 To find out more, read our complete review of the Huawei P20. The Huawei P20 is powered by HiSilicon Kirin 970 that has a 2.36 GHz octa-core CPU, Mali-G72 MP12 ARM GPU and NPU (Neural Processing Unit). The NPU handles tasks related to artificial intelligence. Unfortunately, the RAM is just 4GB, unlike the Huawei P20 Pro which has 6GB of RAM. The internal memory of the phone is 128GB UFS 2.1 and it is not expandable via a MicroSD. The phone has also has Bluetooth 4.2 and Wifi a / b / g / n / ac. Huawei has done away with the 3.5mm headphone jack. The smartphone could be used as a Dual SIM dual standby in the no brand version. As far as the reception is concerned, it can be ranked somewhere in the middle of the best high-end smartphones that are on the market currently. The caption could have been better and it seems that Huawei has been taken over by other companies over the year when it comes to reception. The call audio is great both on the speakerphone and through the headset. The performance is comparable to that of any of the top of the range smartphones released recently, but it is still not up to the level of Mate 10 Pro. Maybe it has to do with the missing 2GB or maybe the software hasn’t been optimized. You can find more responsive phones on the market, especially those that run the stock software. These are the phones that take care of every minor detail, resulting in a seamless performance. In terms of design, Huawei P20 is different than most smartphones you see on the market. It is relatively compact and can be easily used with one hand. Since it’s an 18:9, you can easily write on the keyboard using one hand. However, you cannot get to the higher angles with one hand. The Huawei P20 is only IP53 certified against water and dust. 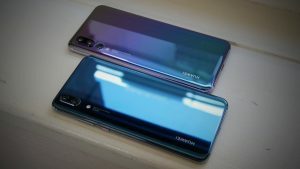 The material used to make the smartphone similar to those used for the P20 Pro. The body is polished aluminum and the back is mirrored glass. However, the material isn’t very resistant and it can be scratched easily. The fingerprint has been embedded on the front bottom edge. It works fine and is always reliable and fast. Since Huawei P20 is a compact phone, it is really easy to use the fingerprint sensor on it. You can also use it to move around the interface using gestures. This enables you to do it without needing the navigation bar. The phone also has an iPhone X style notch. A notch is simply an indentation of the upper edge of the screen, as seen on the Essential Phone too. However, Huawei has also bundled a neat software function which lets you hide the notch, courtesy of the black bar. This way that part of the screen stays active, with the clock and notifications. But, the iPhone X style feeling still remains. Apart from the fingerprint reader, there is also a face unlock system. It functions well in good and average lighting conditions, but it is slower in dimly lit environments, direct sunlight, and when wearing glasses. You don’t need to use it if you prefer the fingerprint reader. It is just an extra option. The display of the phone is a 5.8-inch LCD unit. The brightness reaches up to 770 nits. That is not bad at all, keeping in view the technology used for the display. The colors are rendered well, bright and deep, not absolute as this is not an OLED. In short, the Huawei P20 is a proof that even an LCD with FullHD + resolution can be stunning if handled properly. The audio leaves a lot to be desired. It is neither in line with the rest of the smartphone nor with the other high-end smartphones. The speaker is at the bottom edge. The result is different for different levels of the volume. The performance is best when you choose the medium-high level. However, there is still a lack of equalization. Overall, it is not a quality performance and the sound power is not very high. Now, let’s talk about the camera. Technically, the camera setup is nothing when compared to that of Huawei P20 Pro. The phone has a dual camera system: a 12MP f / 1.8 RGB sensor and a Black and White 20MP f / 1.6 sensor. Both of these always work together. You get excellent result during the days, comparable to what you get when shooting with other current top-of-the-range smartphones. The light management is great and so is the overall color rendering. 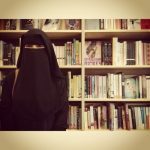 However, the level of sharpness can be too high sometimes and can create issues in certain situations with many details. The effects are good, but not the best. Sometimes it is difficult to cut out the subjects. The artificial intelligence algorithms have been implemented really well. During the daytime, you can easily emphasize colors when shooting landscapes using the automatic scene recognition called the blue sky. The same can be used for photographing flowers or nature. But, be careful as the AI algorithms can be a bit tricky. Although they are most useful, sometimes the scene is not correctly recognized and this gives you unwanted results. You can tap the cross to go back to the standard mode. As the light falls, so does the quality of the pictures. The results are comparable to those of Mate 10 Pro. The pictures are still good but not great. Some shots are problematic because of the noise. However, there is a tool to tackle this issue here. There is a night mode which utilizes artificial intelligence stabilization to give you pictures with four seconds of exposure and more freehand. Using motion detection algorithms, the software tries to predict the movements and manages to stabilize the recovery. However, be careful., as though the night mode works fine with static subjects, it can be difficult to obtain desired results when the object in question is in motion. However, something important that is there is on the P20 Pro is missing on the P20. The sensor doesn’t have the Quad Bayer matrix which lets you merge four pixels in one. That’s why, when compared to the P20 Pro, the pictures taken during the evening in both the night and the standard mode are slightly worse. The AI stabilization is also beneficial for videos. The videos are great, although the quality is not the best, especially when the light falls and there is also some aberration. The phone also lets you record videos in slow motion up to 960fps, but there is no software which automatically detects motion but you will have to catch it yourself. However, if you handle it well, the results are still decent. The front camera could have been a lot better. In a lot of cases, the pictures are too overexposed and the beauty effect is almost always active even though the software is not at play here. The battery of Huawei P20 is great. Its capacity is 3400mAh. This gives you a screen time of 5 hours during a day. The standby management is great and when the display iff, very little power is consumed. So, if you use the phone lightly, the battery can even last for two days. The autonomy is great. In fact, you can’t find any other high-end phone under 5.9 inches that offer this kind of autonomy. The software of Huawei P20 is based on Android 8.1 Oreo and EMUI 8.1. There are a lot of apps that are dedicated to the users so you can easily use the phone without having to download something from the Play Store. The software is reminiscent of iOS because of small details like the notch in place of the navigation bar and portrait effects of the camera. The customization is great. 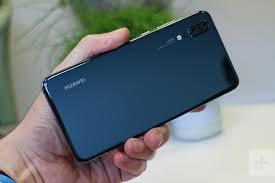 The Huawei P20 is a great improvement over the Huawei P10. It is something of a cross between the Huawei P20 Pro and Mate 10 Pro but it is really compact. The stabilization of the camera and the battery are the strengths of the Huawei P20. However, it is a shame that the photography sector has nothing on the P20 Pro. The Huawei P20 is 200 euros cheaper than the P20 Pro. It is retailing for 679 euros at the moment. The price can reduce even further if you buy it via carrier offers or online. 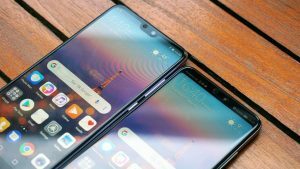 Will you consider buying the Huawei P20? Why or why not? Let us know in the comments below!